• You’re in good company. What you are doing right now – reading – is the most popular activity of people who pick up a copy of Common Ground. It’s also a keen interest of this magazine’s contributors. So it makes sense to launch a monthly book section where we can begin an ongoing conversation, share information and explore our common ground. Just like muscles, the brain benefits from a good workout. And reading is more neuro-biologically demanding than processing images or speech. “Parts of the brain that have evolved for other functions – such as vision, language and associative learning – connect in a specific neural circuit for reading, which is very challenging,” says Ken Pugh, PhD, president and director of research of Haskins Laboratories, devoted to the science of language and affiliated with Yale. “A sentence is shorthand for a lot of information that must be inferred by the brain,” Pugh notes. In our internet-crazed world, our attention is drawn in myriad directions simultaneously, as we multitask through the day. In a five-minute span, the average person divides their time between working on a task, checking email, chatting with people (via gchat, Skype, etc. ), keeping an eye on Twitter, monitoring their smartphone, interacting with co-workers and so on. You are probably aware of the many benefits of reading and have firsthand experience of the sheer joy of curling up on a rainy afternoon with a cup of something warm and shutting out the world beyond the pages of a literary classic, poems, magazines, biographies, self-help guides, street lit and so on. Learning a new language, lingering in a bookstore (when you can find one) or library, pleasurably passing time on a SkyTrain, bus, plane, ferry or at a food court or on a park bench – here’s a short list of some of the reasons it’s wise as well as enjoyable to do these things. The brain requires exercise. Use it or lose it. Cognitive stimulation slows the progress and possibly prevents Alzheimer’s and dementia. 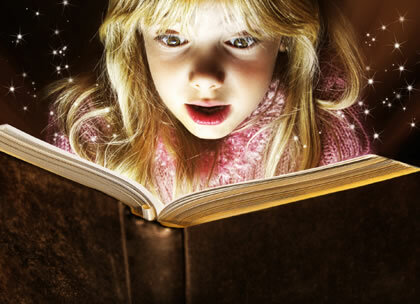 Reading reduces stress, transporting you to other realms, engaging or distracting you while keeping you in the moment. It increases your knowledge – something that can’t be taken away from you – along with improving your vocabulary, making you more articulate and well-spoken, boosting confidence and self-esteem, as well as raising awareness. While reading, you have to remember characters, history, previous events, plots and sub-plots. And every new memory created forges new synapses and pathways in the brain and strengthens existing ones, assisting in short-term memory recall as well as stabilizing moods and putting critical and analytical skills to work. Books – including ebooks – focus attention, enhance concentration and improve writing skills in much the same way as exposure to music enhances the ability to play. Reading can also help bring about inner peace and tranquillity, lowering blood pressure and reducing mood disorders. Best for last: reading offers free entertainment. You will never run out of material at your local library, which stocks every subject and genre imaginable. Books are also available in PDF or ePub format for e-readers, iPads and computers. And there are lots of online sources to download inexpensive or free e-books. A new book – The Novel Cure: An A-Z of Literary Remedies (by Ella Berthoud and Susan Elderkin, published by Hamish Hamilton) – is being released next month. This 400-page apothecary, gathered from 2,000 years of literature, makes the case that there is something in libraries and bookstores to cure whatever ails you: from agoraphobia to boredom to midlife crisis and problems of the body and the heart. It cites the best post-breakup books, the top 10 to read in your twenties, the best novel on motherhood, etc. Read at the right time, books possess the power to change life. Cowardly? Get a copy of To Kill a Mockingbird. Fear death? Try One Hundred Years of Solitude. Stuck? Pick up Life of Pi. Cure or solace, you aren’t alone while reading. And you are opening up the power on the page to transport you and change how you think about the world and your place in it. Arguably, more than anyone else in Canada, Shelagh Rogers has conversed about books on flagship CBC-radio programs such as Morningside, Sounds Like Canada, This Morning and now, The Next Chapter. In a Common Ground interview to be published in the near future, she said, “I’m surrounded by books and never without one or two to suggest what to make for dinner, fight depression or learn the real history of Canada. In a canoe, on a camping trip, in a bathtub or a chair, I am constantly turning down the corner of pages for future reference. And I give them to a library which is important to me. Books never sleep or laugh at your ignorance or mistakes. They ask very little and give so much, without demanding payment. And they contain the past, present and future glory of the world. In the months to come, Common Ground will share conversations with writers and readers, visit bookstores and literary events, share trends, research, new releases and old favourites. Join in on our website or by emailing brucemason@shaw.ca.